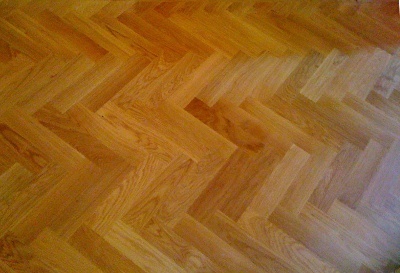 If you’re looking for high quality wood floor sanding in Croydon, then you came to the right place. We’re an experienced team of floor technicians, offering first class services at affordable rates. We’ll renovate and restore your hardwood floors, your softwood floors, and we deliver fantastic results on all parquet flooring surfaces. From restoration and gap filling, through to floor sealing, staining and finishing – make us your first choice for Croydon flooring services! We’ll visit your home to provide a no-obligation on-site consultation. After our initial inspection we’ll provide you with a quote. We’ll send out Bona-certified floor sanding experts… equipped with state-of-the-art, 99% dust-free equipment. All of our services come with a guarantee, and you’ll find that the floor sanding technicians are fully insured against any damages. You’re left to enjoy the added benefits of our service – including increased property value, and hypoallergenic, easy-to-clean flooring. We provide our customers with round-the-clock support, thanks to our 24-hour phone lines. Repair and Restoration: Our full repair and restoration service is the ultimate solution for your tired or ageing floorboards. Using advanced techniques and state-of-the-art technology, we’ll transform your wooden floors before your eyes! Gap Filling: Floorboards shift and contract over time, which can result in the appearance of gaps. We’ll fill these seamlessly using either slivers of wooden board, or for smaller gaps, a hard-setting resin. Floor Sanding: Wear and tear on your wooden floors can result in a patchy or damaged finish – or in worse cases, splintering. We’ll fix this problem with a thorough sanding service, delivered using 99% dust-free techniques. Staining: There are plenty of good reasons you might want to stain your wooden floors. This process adds more than just a choice of colour – it’ll also protect your wood against rot, moisture and discolouration by sunlight. Finish and Sealing: By applying a final coat of sealant to your wooden floors, varnishing, oiling or waxing, we’ll ensure that shiny finish lasts even longer… while also keeping out future spills and stains. Dirt and Grit. These particles act like sandpaper on your hard wood floors, so be sure to sweep regularly! Floor mats placed in doorways can help to trap grit and keep it away from your floors. Moisture and Spills. Water and other liquids allowed to gather on your wooden floors can cause warping and damage to the finish. Be sure to wipe these up as soon as they happen! Oil Soaps. These aggressive cleaning products can often play havoc with wooden floors – try using neutral pH cleaners instead, to avoid irritating the fibre of the wood. Furniture. Dragging around heavy chairs and tables can spell big trouble for your floors. Be sure to lift rather than drag, and place felt contacts beneath legs for added protection. 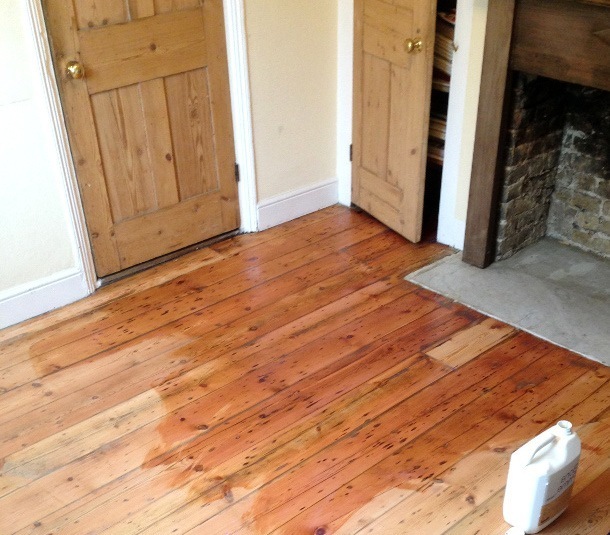 Ready to get your quote on our expert floor sanding in Croydon? We can treat your residential property or commercial premises – we work with landlords, tenants and homeowners alike. To find out more, just get in touch to arrange your on-site consultation. We’ll assess your floors, before providing you with an accurate, no-obligation quote. Just send us a message today… or call us any time, 24/7, on 020 3404 4979. Deckboard Hardwood Flooring Centre - Offers a full range of wood flooring types in Croydon. London Flooring Supplies Ltd - Leading flooring distributor in Croydon.